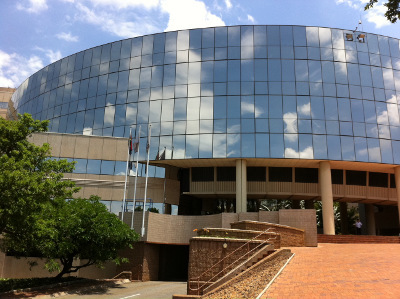 Armscor’s announcement this week of receipt of an unqualified audit opinion from the Auditor General will be tempered by the knowledge there are questions on the way regarding salaries and bonuses. Government’s defence and security acquisition agency made public its clean audit status when it presented its 2017/18 annual report to the Portfolio Committee on Defence and Military Veterans (PCDMV) on Wednesday (October 10). This is the second consecutive year the agency has earned a clean audit. Armscor’s Group Executive: Corporate Support, Solomzi Mbada, said in a statement: “The agency worked hard to achieve most goals in the corporate plan. This was achieved in a declining economic climate”. Democratic Alliance (DA) shadow defence and military veterans minister Kobus Marais told defenceWeb he was “concerned about an increase in salaries and bonuses of especially senior Armscor management”. According to him the latest Armscor annual report shows a 23.1% increase for the last financial year and Marais maintains “similar increases” are set for the current financial year (2018/19). “This is despite a lower Department of Defence (DoD) budget and consequently also for Armscor. “Armscor’s time, efforts and expenditure on core activities – the acquisition of assets and equipment for the SANDF – has decreased substantially. It seems Armscor is using reserves for salary/human resource increases when this should go to capital acquisitions. “Increases and bonuses of this nature make no sense,” Marais said. Speaking after the PCDMV meeting Armscor chief executive Kevin Wakeford said the agency was going to act on the mandate emanating from President Cyril Ramaphosa’s official opening address of the recent Africa Aerospace and Defence (AAD) exhibition at AFB Waterkloof in Centurion. Armscor and the South African defence Industry have a mandate to pursue leveraging of intellectual property utilisation, cost effective research and development to deliver a good return on investment for the economy. “Despite challenges resulting from a shrinking defence allocation, Armscor and industry are open for business both locally and internationally,” he said.